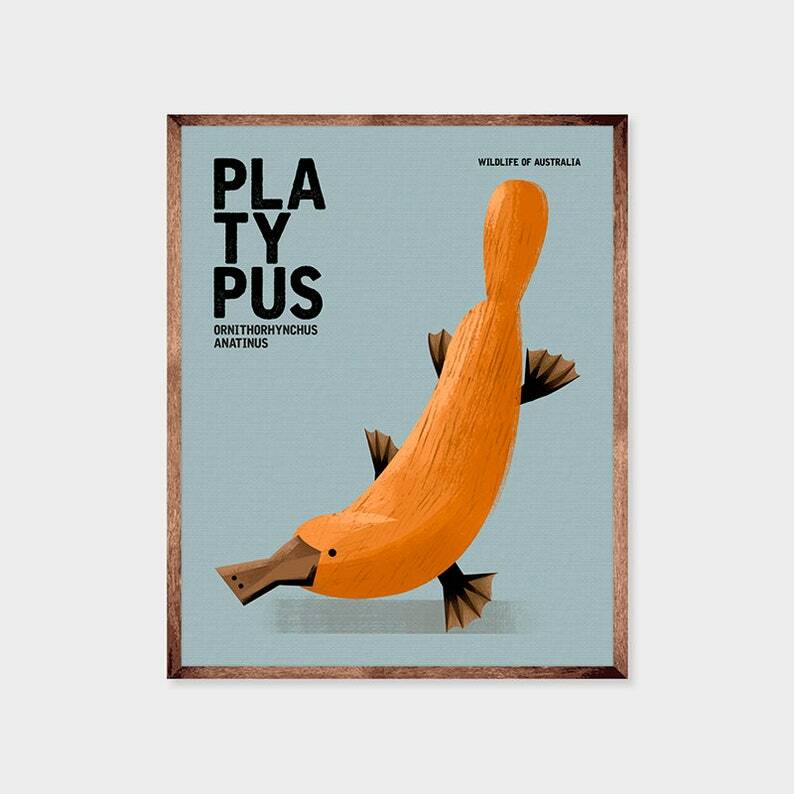 This Platypus print is part of our WILDLIFE OF AUSTRALIA COLLECTION 1, comprising of 8 animals. 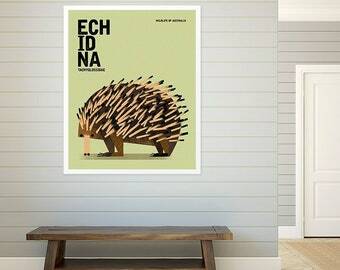 The other animals in this collection are: Echidna, Kangaroo, Koala, Wombat, Crocodile, Dingo and Emu. Unique, whimsical and with a touch of retro, this print will appeal to the young and the young-at-heart. It is not only a perfect decoration for the children's room, baby nursery, home and office interiors but also an ideal gift for the animal lover in your life. Printed on fibre-based 285gsm Hahnemuhle Torchon — an acid-free, archival fine art paper of museum standard that lasts for centuries. A Torchon paper is one that is quite rigid and has a irregular texture, giving a feel of handmade quality to our print. Print is supplied with a white border for protection as well as option of framing with a matt board. Frame, matt board and any other objects shown in the photos are not included with the print. They are for illustrative purposes only and show how the print could look framed. Small sizes are shipped flat between thick cardboards. Larger prints are shipped in strong tubes. All print(s) will be shipped in sturdy, moisture-resistant packaging via Australia Post regular air mail service, within 5 business days after receipt of payment. Delivery can take from 4 to 21 days. If you need your print(s) shipped via registered mail service or urgently, other arrangements can be made -- just contact us.